I had to find a religion...to measure my evil against. Down here. Embedded. Greene’s 1955 novel The Quiet American is narrated by Thomas Fowler, a British journalist living in Vietnam. But Fowler hates the word journalist: “I preferred the title of reporter. I wrote what I saw. I took no action—even an opinion is a kind of action.” Fowler claims to be the only objective voice in a tangled world. There is Alden Pyle, the young American C.I.A. agent who has read books on democracy and hopes to remake the East in an American image. There are the Caodaists—part Catholic, part Buddhist, part regionalists—the French colonizers and then the Communists. By the end of the book, we learn that Pyle’s American optimism is his undoing, and yet equally dangerous is Fowler’s feigned journalistic distance. Greene suggests that we can never be truly honest. No hands are clean. At a moment when reporters and the entire culture and action of reporting are being criticized from all sides, The Quiet American feels painfully prescient. Early in 1954, Greene lived in Saigon as a correspondent for The New Republic. 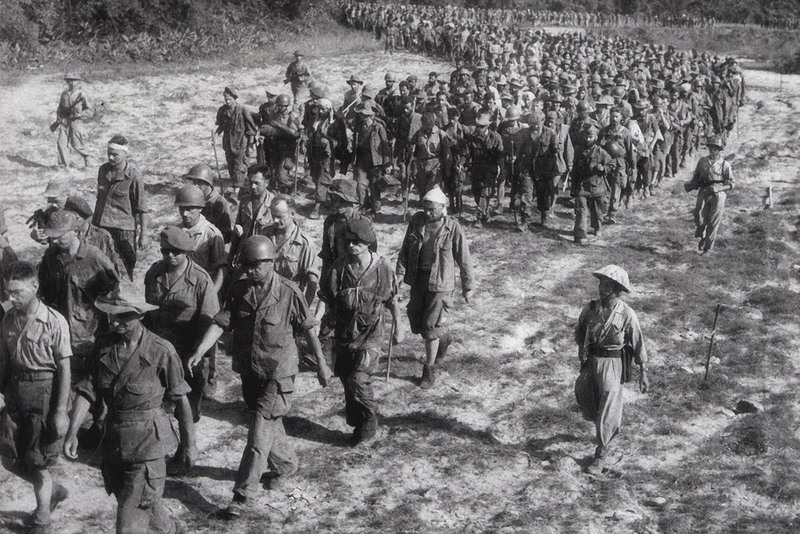 In his story for the magazine, he wrote that the First Indochina War “will be decided by men who never waded waist-deep in fields of paddy.” The Quiet American, as novels often do, adds even more complexity to that claim. Greene’s complex novel is a scathing critique of the malleability of truth, the fallibility of perception and American ambition. Although Greene claims in a prefatory note, “this is a story and not a piece of history,” he wanted it both ways. We are left with a story about what it means to be engaged—or to do nothing in the face of evil. It is strange to read Greene’s novel in the age of references to the amorphous “media,” as if all journalists are part of a cabalistic operation to suppress, or at least bend, truth. This is not to say that journalists are infallible; often the storytelling impulse to give readers a linear, causal narrative means forcing dots to connect. Fowler is correct: “An opinion is a kind of action,” and actions have consequences. For example, in May of this year, NBC News reported that the F.B.I. had wiretapped the phone of Michael Cohen, President Donald Trump’s former personal lawyer. That was a bombshell claim—implying that the F.B.I. had listened to every conversation. In reality, they had only been monitoring his calls—collecting the metadata of who was calling whom, but not the content of the conversations. The distinction is a big one, and that type of mistake hurts the credibility of other reporters (who are more meticulous). Greene’s complex novel is a scathing critique of the malleability of truth and American ambition. [Pyle] would have to learn for himself the real background that held you as a smell does: the gold of the rice-fields under a flat late sun: the fishers’ fragile cranes hovering over the fields like mosquitoes: the cups of tea on an old abbot’s platform, with his bed and his commercial characters, his buckets and broken cups and the junk of a lifetime washed up around his chair: the mollusc hats of the girls repairing the road where a mine had burst: the gold and the young green and the bright dresses of the south, and in the north the deep browns and the black clothes and the circle of enemy mountains and the drone of planes. The Quiet American is a far less sentimental book than the ultimately pious The Power and the Glory, and Greene reveals Fowler’s hypocrisy. Fowler claims to have Phuong’s best interests at heart, but she is treated as an exotic object, a possession that has possessed him. “One always spoke of her...in the third person as though she were not there,” Fowler writes. “Sometimes she seemed invisible like peace.” That peace is a fiction, and Pyle’s Third Force fumbles in its attempt to tip the scales of war. By the end of The Quiet American, we learn that Fowler was very involved—with Vietnam and with Phuong’s and Pyle’s unfortunate end. About Pyle, Fowler says, “I never knew a man who had better motives for all the trouble he caused.” A great line; I think Greene delivered one-liners better than Hemingway (both reporters themselves, of course). Involved or not, Fowler’s bias doesn’t get in the way of his clarity. When Pyle tries to convince him that the Vietnamese “don’t want Communism,” Fowler retorts: “They want enough rice. They don’t want to be shot at. They want one day to be much the same as another. They don’t want our white skins around telling them what they want.” Fowler knows his claim that he has no politics is false. The Quiet American offers the truth that to write is to be political. When we hope to corral the madness of our world into a story, we polish the edges and exaggerate the heartbeats. We make the page a mirror. OK, Greene was a flawed sinner and an indifferent writer. Yawn! What possible reality is there in his fictional characters, cardboard cut-out figures having little resemblances to real people? The real Vietnam was peopled with a minority of indigenous who were willing to accept the promise of hope from atheistic Communism and the rest were Catholics and Buddhists very strongly against them. Heroic efforts, expending much blood and treasure, brought the endeavour of establishing a democratic nation almost to the brink of success and scribblers back in the USA ruined it - multimedia is mightier than the sword, indeed. During the many centuries in Christendom, the notions of treason, libel, sedition, perjury and blasphemy were recognised and included within the legal systems as grave crimes against justice and love. This article also appeared in print, under the headline "Our Man in Saigon," in the Fall Literary Review 2018 issue.